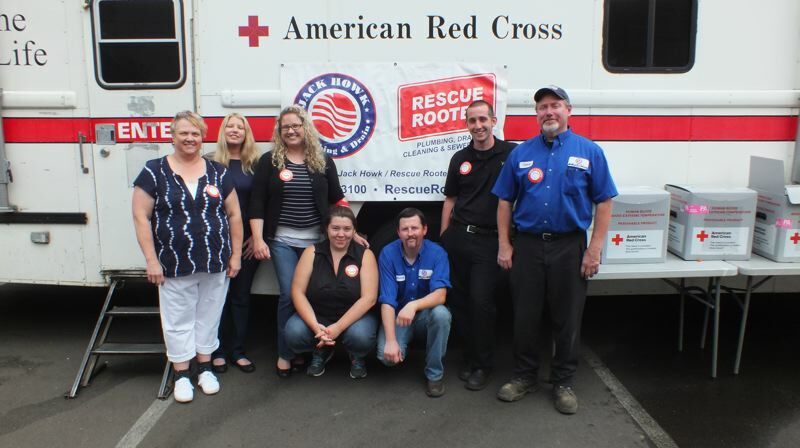 During September and October, American Red Cross officials say they collected more than 21,000 fewer blood and platelet donations than what hospitals needed. Red Cross officials say that key contributing factors to the current blood shortage were hurricanes Michael and Florence, along with fewer blood drives in September and October. They say an additional 4,300 blood drives nationally are needed in December, January and February to help stop the shortage from continuing throughout winter. Donations often decline during the winter holidays when many groups postpone blood drives while regular donors are busy with holiday activities and travel. Severe winter weather may also cause blood-drive cancellations, while more donors cancel appointments due to seasonal illness. "This time of year, as many give thanks for family, friends and good health, it's important to remember that patients across the country cannot survive without your generosity," said Cliff Numark, senior vice president of Red Cross Biomedical Services. "From traumas to ongoing cancer treatments, the need for blood doesn't stop for the holidays. People can give back — and help those in need — by making a lifesaving blood or platelet donation now and hosting a blood drive in the weeks to come." n Nov. 27: 1-6 p.m., Beautiful Savior Lutheran Church, 9800 S.E. 92nd Ave.
n Nov. 29: 9 a.m.-2 p.m., Clackamas High School, 14486 S.E. 122nd Ave.
n Nov. 27: 2-7:30 p.m., Gracepointe Baptist Church, 10750 S.E. 42nd Ave.
n Dec. 8: 8 a.m.-1:30 p.m., St John the Baptist Catholic Church, 10955 S.E. 25th Ave.
n Nov. 21: 11 a.m.-4 p.m., Starbucks, 1900 McLoughlin Blvd. n Nov. 24: 11 a.m.-4 p.m., Burgerville Store #28, 1900 Molalla Ave.
n Nov. 26: 11 a.m.-4 p.m., Grocery Outlet, 878 Molalla Ave.
n Dec. 5: 9 a.m.-2 p.m., Elks Lodge 1189, 610 McLoughlin Blvd. Schedule an appointment to donate by visiting RedCrossBlood.org or calling 800-733-2767.